This pretty fit and flare floral maternity top is a great style, its fitting on the bust and flares out prettily on the bump and hips. 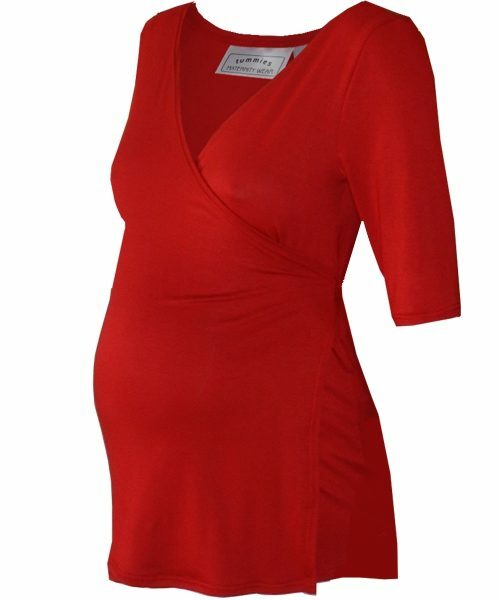 The fabric is a poly spandex and is sooo incredibly soft, its sure to become a favourite in your maternity wardrobe. The stretchy fabric that will stretch and give as you grow. The rose print is pretty, yet modern at the same time with the black background.